Knudåge Riisager was born to Danish parents in Port Kunda, Estonia, travelling with his family back to Denmark at the age of three. After studying political science and music in Copenhagen, Riisager went to Paris to study composition under Albert Roussel and Paul le Flem from 1921-1923. 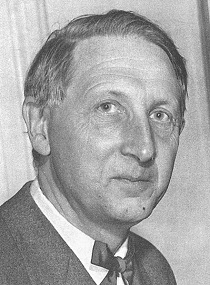 During his stay in Paris Riisager came into contact with the group Les Six and became acquainted with the music of, among others, Igor Stravinsky. Riisager later studied music in Leipzig under Hermann Grabner. Among his contemporary Danish colleagues, Riisager emerges as perhaps the most internationally minded, and he is known around the world for his ballet music created in collaboration with choreographer Harald Lander.